Today's Post-Dispatch has a couple articles about downtown buildings: one about the former holdings of the Robert's Brothers, that changed hands in October, and a more recent sale of the former Peabody Coal Buildings new life as the ICC Engineering Headquarters. Of the two articles, the subject of Chicago developer hopes to transform vacant Roberts properties has a larger impact on continuing the vision of rebuilding Downtown St Louis. Focusing on the acquisition of Roberts Tower, Lofts on the Plaza, the Mayfair Hotel, and the rest of 800-900 Locust, the Chicago developer Urbanstreets Group claimed to be excited about the opportunity. Some of the opportunities lack mystery. The Roberts Tower will be turned into 132 Luxury apartments. The Mayfair will continue to be a hotel, the Lofts on the Plaza will hopefully be cleaned up a bit, and remain apartments. 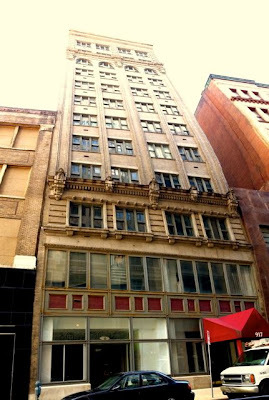 What's intriguing, is what they will do with the buildings initially slated to be another Hotel Indigo at 913-923 Locust. 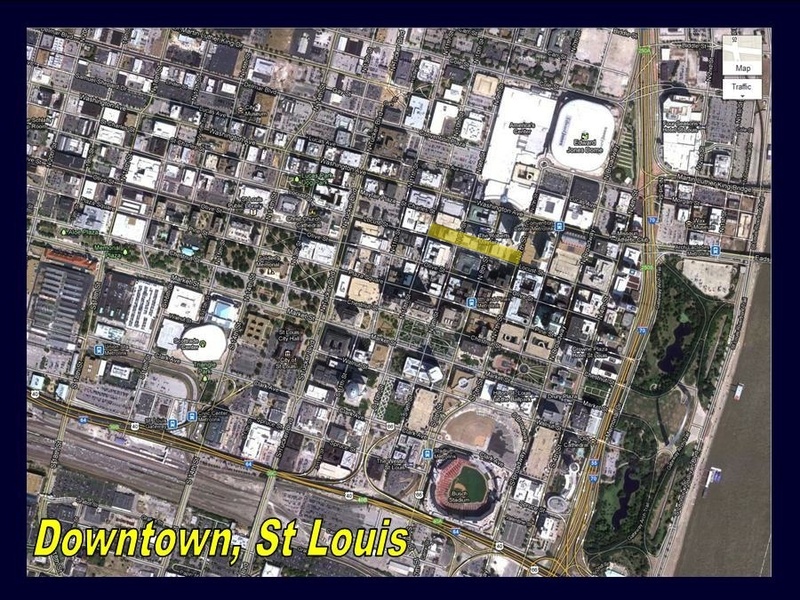 Having 4 buildings adjacent in a downtown setting could be a fantastic development. These buildings mostly have character and could be developed independently or in a group. Walking access to the 9th Street Garage, Post Office Plaza, the Culinaria, Downtown Urgent Care, the Syndicate, MX Exchange, Left Bank Books, and the Downtown Bicycle Station would be amenities that would be a perfect fit for a mid-sized company looking for a solid location in the heart of downtown. The other article in today's Post describes just that; except the company was already in the Downtown area, relocating to the lager 'Peabody Coal Building'. As one person interviewed, the question was put to me that with rental apartments going in at Roberts Tower, the Arcade, and the Chemical Building, would we be facing a 'bubble' in the number of rental lofts. My first answer was "no". Its always possible, but we have a tremendous opportunity for growth as defined in the Downtown Next plan if we continue to increase the density in downtown St Louis in all possible sectors: housing, education employment, hotel, and recreation in reasonably proportional amounts. The Urbanstreet Group LLC website page for 913-923 Locust says that the developer is evaluating development opportunities. Obviously, as a capitalist business, they are looking for what will pay them the most and spend the least. My hope is that they also consider what will be the best fit for the area. By marketing the building to potential corporations looking for custom developed corporate locations, the area itself would be improved and a needed component of building downtown would also be met..